Set to guitar and keyboard accompaniment, the 11 songs include psalm settings, gathering songs, Communion hymns, seasonal songs for use in Advent and Lent, and music for communal penance services. Remastered for the highest quality sound, this classic collection is now available on CD. Father Fabing wrote this music to celebrate the love God has for us and to praise God for the relationship he has established with us through Christ. 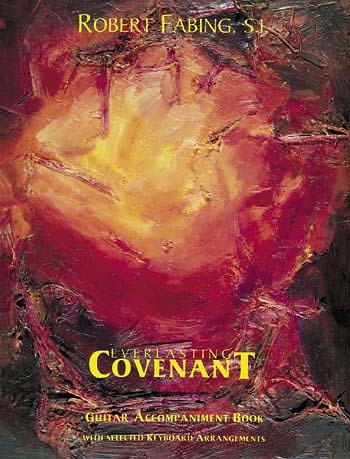 This relationship is an intimate, "everlasting covenant" in which God "changes us by placing the Holy Spirit in our hearts." The collection includes many well-known, beloved Fabing songs, including "Come to Me," "Turn Your Hearts" and the title song. Set to guitar and keyboard accompaniment and marked by folk styles and buoyant rhythms and melodies, the 11 songs include psalm settings, gathering songs, Communion hymns, seasonal songs for use in Advent and Lent, and music for communal penance services. Many songs work well in sacramental contexts, including baptism, confirmation, marriage and ordination to holy orders.